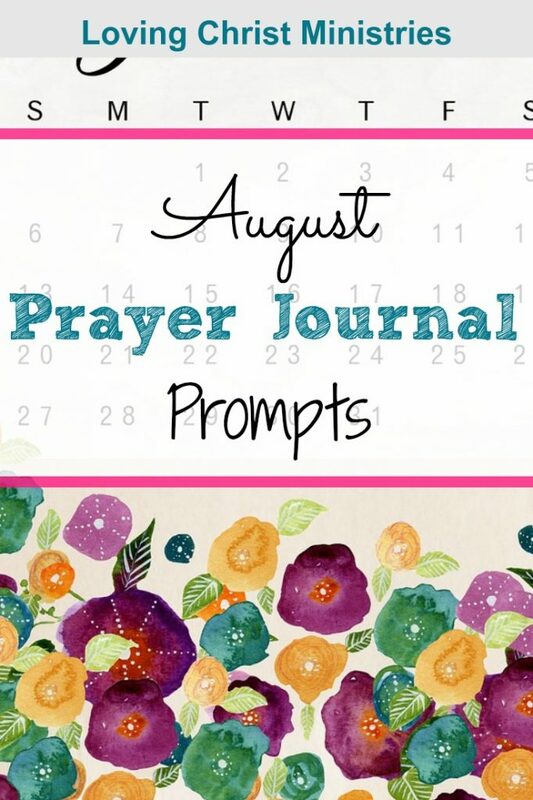 Consider these August prayer journal prompts a way to guide you in your relationship with Christ. It’s not always easy to know what to do each day to stay close to God. Oftentimes, our full daily schedule keeps us from spending time with God. I’ve found that daily Bible study and writing in my prayer journal helps me carry Christ’s peace with me longer throughout the day. It’s such a blessing and leads me through difficult moments such as frustration with a co-worker or stress over a busy schedule. Each of these topics will help you seek Christ in every moment. Plus, they’re designed to work for you whether you write a little bit or a lot. That means even if you don’t have much time or don’t like to write, you can still use them to journal your prayers. Julie, I just finished a prayer focus and it was so rich! Thank you for these prompts and the focus this month. These are some awesome prompts!! Thank you for this great resource. You’re welcome, Amber! Thanks for stopping by!